A couple of years ago, I had an adult short story published by Stringybark Press in one of their anthologies. It’s part of the collection of modern fairy tales I’m working on. I thought I’d share it here for you to enjoy! I watch them every morning from my bedroom window at the front of the house. I kneel on my bed and pull the blind up a little bit so I can see them. They stand between the two cars parked in their driveway. Rob wears a suit with a shirt and tie. Julie wears a pretty dress. Sometimes her hair is in a ponytail, sometimes she wears it loose. They reach towards each other, and he puts his hand on her back and she puts her hand around his neck and they kiss. Kiss, kiss, kiss, for a really long time. Sometimes they say goodbye in a slightly different spot and I can’t see them properly through the bushes between our house and theirs. But I always hear Rob’s car drive off first down the street, then I hear Julie’s car leave. Then I open my blind all the way. They are so nice, our neighbours. Julie works at the office for a big bakery and always leaves a cardboard box full of bakery sweets, like jam donuts and apple scrolls and custard tarts at our front door on Friday evenings. So now Friday is dessert night. It used to be Saturday, but now it’s Friday. Fridays are a good day now. They used to be a bad day, because we had sport at school. Well, I have sport at my school. My younger brother, Dan, has sport at his school on Monday and Wednesday. I go to a different school. The sign at the front of my school says it is a special school for children with special needs, so all children can reach their potential. I know this is not true. Because some of the children here have already reached their potential. Sam, for example, is never going to learn any more about maths. He knows some maths, but he’s never going to learn any more and he’s fourteen already. I am only twelve, but my potential for maths is still growing. I heard Mr Tallin tell Mum that I have great potential for maths, maybe up to Year 10. But my potential for sport is not good – I can only catch the ball three out of ten times, and not every sports day. Just a good sports day. This Friday, when Julie comes over to give Dan and me the box of bakery treats, she tells us she has some news. Some exciting news. She and Rob are going to have a baby. Mum gives her a big hug and makes her come inside to sit at the table and tell us all about it. Dan goes outside to play basketball – he always practises after school until Mum tells him it is homework time – but I stay inside. I open the bakery box to see what Julie has given us today. Lemon tarts, jam donuts and fruit buns. I like the donuts best. Julie nods politely but I know she doesn’t understand. My name is very important to me. It’s Patrick David Lamond. Sometimes I like to be called Pat, sometimes Paddy and some days Patrick. Sometimes Boy-o, but only by Dad. Patrick is for a bad day, Pat is for an ok day and Paddy is for a good day. And I can’t quite work out what Julie means. So I put it in the box in my head marked ‘Adults’ – it’s for things that adults say that I don’t understand. There are a lot of things in that box. But I do know one thing – kiss, kiss, kiss does mean a baby. Lisa in my class told me that. She knows a lot about babies because she has three younger brothers and sisters at her house. And she is always playing with dolls in the home corner. Sometimes she makes me play too. I have to be the dad, and hold the baby while she cooks dinner. She even showed me how to change the baby’s nappy and pat it gently so it would fall asleep. Lisa can’t write very well because she doesn’t hold her pencil properly but she knows how to hold a baby. ‘What about names, Julie?’ asks Mum, bringing two cups of tea to the table. After Julie has her baby boy, she stays at home and doesn’t go out to work any more and doesn’t give us boxes of bakery treats on Fridays. So Fridays are bad days again because there is sport and there are no treats. Dan thinks Fridays are bad too, because he has no sport and no treats. Rob goes back to work but Julie doesn’t kiss him between the cars any more. Sometimes I see Julie in her dressing gown holding the baby at the front door, making the baby wave his little hand. Sometimes the curtains are still closed in their bedroom window after I come home from school, and Mum says that Julie might be very tired because the baby might have cried in the night. Julie often comes over to our house with the baby, and sometimes she cries a bit and sometimes the baby cries a bit, and Mum makes her a cup of tea and holds the baby so Julie can go back home and have a shower. She doesn’t wear her pretty dresses any more. Usually, she wears tracksuit pants and a t-shirt. One day after school I hear Julie’s baby crying and crying. Mum is in the middle of cooking something complicated in the kitchen so she can’t help Julie. I go next door and open the back door. Julie is crying on the couch and the baby is crying, too. She cries even more when she sees me. ‘I can hold the baby for you while you have a shower,’ I say. This is what Mum says. I walk over to the couch and put my hands out, and Julie gives me the baby. She needs two hands to find the tissues and blow her nose. The baby cries some more but I pat it gently just like Lisa at school showed me. I even sing the traditional lullaby Mrs Blackwell taught us last year. The baby stops crying. Julie stops crying. ‘I think you do, too, Pat,’ says Julie, and she smiles. ‘Paddy, are you in here? You shouldn’t be bothering Julie.’ It is Mum, standing at Julie’s back door. ‘Well, as long as he’s helping and not bothering,’ says Mum. She uses her strict voice but she smiles at me. It always confuses me when she does that. And usually she does this when there are other people around. Is she happy with me or cross with me? I can never work it out. Something else to go in the ‘Adults’ box in my mind. Julie rummages around in the pantry and finds me a chocolate biscuit. After a week, I go over to visit Julie to see if I still have my baby potential. The baby is lying on a blue and green rug on the floor, and Julie is waving a rattle in front of him. She lets me hold the rattle and I make a jingling noise for the baby. ‘Hi, Rumplestiltskin,’ I say to him. I know Rumplestiltskin isn’t his name but I don’t like his name so that’s what I call him. ‘See? I still have my baby potential,’ I tell Julie. I don’t say anything because Mum has taught Dan and me that you don’t talk while someone is on the phone. I just sit next to Rumplestiltskin to teach him that you don’t make a lot of noise when someone is on the phone. When Julie says, ‘Bye,’ and puts the phone down, she sits opposite me on the rug and touches the baby’s cheek. I just keep waving the baby’s rattle in front of him. Sometimes adults talk like this, and I don’t know what to say. I only know what to say because I say what Mum or Dad or my teachers say. Rumplestiltskin says nothing too but he smiles at me. Julie doesn’t have any chocolate biscuits today but she gives me a lamington. A lamington is even better than a chocolate biscuit because it is bigger and still has chocolate in it. Later that week, I visit Julie and Rumplestiltskin again. Julie smiles when she sees me. Julie walks into the study and I look at Rumplestiltskin lying on the blue and green baby rug, then I pick him up to make sure I still have my baby potential. He looks at me and does not cry. Then I wonder if he has potential. Will he be a maths potential baby like me or a catching the ball potential baby like Dan or will he have looking after babies potential like Lisa? I decide that all babies have the potential for walking. Well, except for Olivia and Bella and Luka who come to school in wheelchairs and can’t walk at all. Maybe I should check if Julie’s baby has the potential for walking. I hold up the baby by his arms and let him dangle down. He is all wrapped up and I can’t see his feet. I lie him down again on the floor and unwrap him – there is a lot of material that is tucked around him. Once it is off, I can see his little feet, sticking out of the bottoms of his tiny white suit. I can hear Julie in the study, talking to someone on the phone. I stand over him, holding him under his arms, his feet just touching the floor. He starts to cry. I move him around a bit and hold his hands with mine so his little arms are stretched over his head. He is so little, his head doesn’t even reach my knees. But he doesn’t walk and cries louder. His hands start to slip from mine. Too late, I remember that catching things is not my potential. Julie comes rushing in from the study as Rumplestiltskin crumples onto the floor. What makes an interesting female character? How do writers create a character who is relatable, but also unique and memorable? How do writers create a book that readers will pass on to their friends and will feature in every bookclub across the country? I’ve recently read three adult books about three different female protagonists by women writers in three different countries which have all amazed me with their insightful writing, beautiful language but mainly the strong voices of the characters. All books had themes of connection, loneliness and healing. A philosophical question: if a tree falls in a forest and no one is around to hear it, does it make a sound? And if a woman who’s wholly alone occasionally talks to a pot plant, is she certifiable? I’m confident that it is perfectly normal to talk to oneself occasionally. It’s not as though I’m expecting a reply. I’m fully aware that Polly is a houseplant. 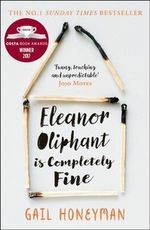 In an interview, Honeyman said that she ‘tried to ensure that Eleanor was never self-pitying, so that there was space for the reader to draw their own conclusions and, hopefully, to empathise with her.’ I think she succeeded! The trauma cleaner by Sarah Krasnostein. ‘You’ve got bugs on your bed,’ Sandra says matter-of-factly. Having cleared more space on the bed, Sandra now finds another silk kaftan creased against the bedspread. She tries to smooth the deep wrinkles out with her palm, reunited it with its belt, arranges it on a hanger and swoops it back into the closet. A gentle satire, this novel set in Canada and the US lightly mocks the social media world where every turmeric latte is photographed in the best light and newsletters are sent out to reflect the glossy surface, rather than the banal or the debris of real life. Lillian Quick, forty-years-old, is a struggling artist who paints pet aura portraits. She connects with her long-lost cousin, Eleven, who is a gifted speaker and entrepreneur in women’s empowerment circles. All of a sudden, Lilian’s life changes – she’s earning money, she’s part of a team, she’s being supported to be her best self in her own empowerment journey. But is it real and will it last? Selecky balances the gentle fun of the perfect-yourself, open-yourself-to-possibilities, you-are-beautiful-as-you-are culture with razor-sharp insightfulness and empathy. I found myself laughing and hoping and caring all in the same sentence. The newsletters, texts and social media posts scattered throughout the book both advance Lilian’s story and act as a wise social commentary. I close my eyes and imagine warm light radiating out of me. I picture the woman this ticket belongs to. It helps to be specific: she is wearing a black coat, a wool scarf, and velvet gloves. I send out my light and connect to the morphogenetic field using my heart energy. I picture her walking to meet me halfway. She is thrilled. This is a wish come true for her. Selecky runs an online writing school – she acknowledges the irony of encouraging writers to disconnect to discover their writing voice through an online writing school! I have completed one of her courses – she taught me about the importance of having a relationship with writing, rather than looking at it as a tool or a business or something separate from yourself. I loved Eleanor’s fall from her routined life into a messy heap on the floor, then her slow rebuilding into a better version of herself, but always, always, her strong, quirky self, untarnished by the culture around her. I admired Sandra’s strength and her meticulous attention to detail and her ability to talk to anyone. I loved Lilian’s innocent observations and her struggle to balance the digital world with the real world. Three strong, memorable characters from three fascinating books – happy reading! Finally, it’s time to talk about adult fiction books for Christmas! Some people like to read something light and frothy at the beach over summer, some like a thrilling page-turner, others like to read something with depth. I’ve tried to cater for all types of summer readers in the list below. Ache by Eliza Henry-Jones – Despite all the hype about fast-paced, page-turning books, I love a gentle quiet story. 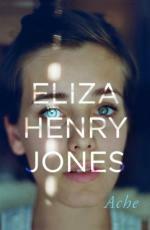 Eliza writes with sensitivity and depth – her debut Australian novel, In the quiet, moved me to tears. Ache focuses on the devastation that can occur within communities after a trauma like a bushfire. This is the story of four strong women within four generations, focusing on Annie, who goes back to her home to help after the bushfire. She grieves for her recently deceased grandmother, is exasperated by her mother and cares for her daughter. You can read my interview with Eliza here. My name is Lucy Barton/ Anything is possible by Elizabeth Strout – I’m so glad I read both these books this year. I’m going to borrow the rest of her books from the library over summer. Strout writes with so much perception and empathy. My name is Lucy Barton is a novel, and Anything is possible could be read either as a novel about the people in Lucy Barton’s hometown or as a collection of short stories about characters whose lives intersect. It really doesn’t matter which book you read first, but you’ll probably want to read both of them. Strout’s books, like Eliza Henry-Jones’ books, are quiet and they shine with such knowledge about the human condition. Force of nature by Jane Harper – this is the second book by Harper. Her first book, The dry, sold well in Australia and is going to be made into a film. The protagonist from The dry is also the lead character in Force of Nature but it’s not a sequel so can be read independently. This one is a page-turning, suspenseful read about a group of four women who are on a corporate bushwalking event – but only three return. The book is told from several perspectives which makes it interesting to read as the story unfolds. The choke by Sofie Laguna – this book is a worthy successor to The eye of the sheep, which won Sofie the Miles Franklin award in 2015. Again, we have a child protagonist in ten-year-old Justine, who lives with her Pop and sometimes her half-brothers. Her Mum disappeared years ago and her Dad blows in and out. Sofie does a fabulous job in creating a strong world, where everything is seen through Justine’s eyes. I found myself reading it with my hand almost on my heart – please don’t let this happen to Justine… But despite the grimness of her world, there is hope, particularly through the wonderful characters. Truly, madly, guilty by Liane Moriarty – if you haven’t already read this one, this is great for light summer reading. The story focuses on the friendship between two women, Clementine and Erika. We know that something happened at the barbeque at Erika’s neighbours’ house, but we don’t know what exactly it is. The suspense was definitely drawn out for much longer than it needed to, but Moriarty is fabulously wicked and insightful with her character descriptions which pull you right into her fictional world. All the characters are presented with light and shade, so as readers you both empathise with them and feel frustrated in equal parts. And if you haven’t read any of Moriarty’s earlier books, they would all make fabulous summer reading, too. Our souls at night by Kent Haruf – this is a lovely, gentle read about Addie and Louis who have been neighbours for years, still living in their family homes after their respective partners have died and their children moved out. It’s a beautiful love story, full of shared stories. Their conversations offer hope and illuminate the everyday courage and resilience of ordinary people. At twenty-one years, Robert Crofts leaves his broken dreams in Far North Queensland, finally stopping in Melbourne almost destitute. It’s there he begins to understand how books and writing might be the saving of him. They will be how he leaves his mark on the world. He also begins to understand how many obstacles there will be to thwart his ambition. When Robert is introduced to Lena Soren, beautiful, rich and educated, his life takes a very different path. But in the intimacy of their connection lies an unknowability that both torments and tantalises as Robert and Lena long for something that neither can provide for the other. In a rich blend of thoughtful and beautifully observed writing, the lives of a husband and wife are laid bare in their passionate struggle to engage with their individual creativity. 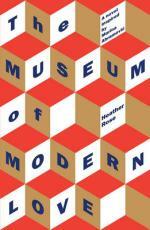 The museum of modern love by Heather Rose – this book about art and love won the Stella prize this year. It’s a novel but it’s based on Marina Abramovic, the Serbian artist who spent 75 days in a New York gallery, sitting with strangers, for her exhibition, The artist is present. There are a few different perspectives – Arky Levin, the composer whose wife is no longer with him, Jane, whose husband died a little while ago, Marina herself, and a few minor characters. The whole concept of sitting still and gazing intensely into different strangers’ eyes, over and over, for 75 days is astounding, and Rose’s book does it justice. Other reviewers, like my friend Carolyn, have noted disappointments in the New York setting – mobile phones instead of cell phones for example. It is a literary novel, with frequent switches between character viewpoints. The art of wellbeing by Meredith Gaston – this non-fiction book would make a delightful present. I’ve already bought it for someone and I’m hoping a copy might find its way into my stocking! Gaston is an illustrator, and has written and illustrated a couple of books like The art of gratitude. The art of wellbeing continues her same, unmistakable style with gorgeous girls outlined in black pen with splashes of colour. There are recipes for smoothies and activating nuts, as well as reflections on mindfulness. The sections are called lovely names such as nourish, blossom, comfort, energise. This would be a beautiful book to dip in and out of during summer. 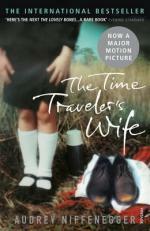 The time traveler’s wife by Audrey Niffenegger – this book was one of the most original, amazing love stories I’ve read. Henry is a time traveller – he has been since he was a small boy. His wife Clare meets him when she is young and he is one of his older time travelling selves. Henry’s life is unorthodox and only Clare at first knows he time travels. The book flicks between the different times and different ages of both Henry and Clare. As a reader, I had a sense of impending doom and the ending was sad. It’s one of those books that you want to read quickly because it’s such a page-turner but you also want to read slowly because you don’t want it to finish. The book was published in 2003 so it’s been around for a while, and there is a movie now. I can’t decide whether I want to see the movie or not – it might completely spoil the story for me! Please pass this post on to anyone who may be looking for suggestions for adult fiction books to read or buy over Christmas. I have a copy of The Choke by Sofie Laguna to send to one lucky reader. Keep it yourself or give it as a Christmas present. To enter, please make sure you have subscribed to my blog and leave a comment on this post with a reading suggestion for me over the summer holidays. Comments must be posted by next Thursday 14th December. The winner will be announced next Friday 15th December in that day’s blog post. Good luck! I’ve been reading quite a few wonderful books lately so I thought I’d bundle a few together in a review. I have so many library books teetering in a pile on my bedside table that I’m worried I’ll be decapitated during the night! I’ve reviewed an adult novel by a well-known Australian writer, a young adult novel by a US novelist and a debut children’s novel. All three books had strong female characters, with so much determination and courage. 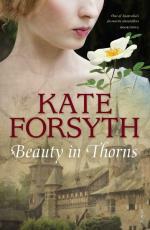 Beauty in thorns by Kate Forsyth (adult historical fiction) – I am such a fan of Kate’s. She teaches a wonderful writing course in Sydney through the Australian Writers Centre on plotting, and her latest book is testament to her ability to weave together threads from a few stories and timelines. It’s set in the Pre-Raphaelite era and focuses on the lives of a few artists – Ned Burne-Jones, Dante Gabriel Rossetti and William Morris, and the women who loved them. The story focuses mainly on the women – and they were a talented, creative force as well. I didn’t enjoy this book as much as Kate’s previous books, perhaps because it felt that she was following the stories in a chronological manner, rather than crafting a story. But the characters are compelling, the settings evocative and Kate’s writing is as rich and descriptive as usual. The girl from everywhere by Heidi Heilig (young adult fiction) – a friend recommended this book to me, and I’m glad she did. It’s about a sixteen-year-old girl called Nix Song, who is a Navigator on a pirate ship with the ability to follow maps into the margins, into different countries and different timelines. Led by her father the Captain, and supported by a crew of time refugees, she discovers her own abilities. She needs to, lest her father steer them into a time and place where Nix doesn’t exist. Because of the complex and sophisticated plot of time travelling, I know I’ll read this book again to figure out the connections between the different timeframes. (That’s a sign of a wonderful book, when the reader is planning to read it again after finishing the last page!) It’s a really unique book, that shows a different sort of protagonist to the usual YA ones concerned with school and parties and friendships. There’s also a sequel available now – The ship beyond time – I can’t wait to read it. Best for 14-16 year-olds, but absolutely fabulous for all adults. How to Bee by Bren MacDribble (children’s novel) – this is set in a dystopian world, where nine-year-old Peony is desperate to become a ‘Bee’, someone who climbs the trees, waving a wand to collect the honey. She lives and works on a farm with her sister and grandfather. But trouble arrives in the form of Peony’s mother, who wants to take Peony away to a different life. Peony’s voice is strong and compelling and whisks readers away into her world where you just want everything to work out for her because she is such a hard worker and so determined to support her family. I loved this book – definitely one of the best children’s books I’ve read this year. And the cover is gorgeously striking! A fabulous read for 9-12 year-olds. I’ve also spent a bit of time in the last fortnight reading some unpublished books. I’m part of a writer’s group and last weekend we met up as usual to discuss each other’s work. I absolutely believe in the writing from the other members – I’m sure I’ll be reviewing their published work one day – a crime novel, a middle-grade novel and a young adult book. Any recommendations for me? I’m compiling a wishlist for National Bookshop Day on Saturday 12th August – I’ll definitely be visiting my local. Tell me what’s on your book wishlist! Anything is possible – it’s a great book title and a great motto for life, isn’t it? It’s similar to my mantra last year when we renovated our home – there’s always a way. This book has a lovely textured cover with a green edging around the spine which makes it look elegant. But it’s the elegant writing inside the covers which makes it a wonderful read. I didn’t know anything about Pulitzer prize-winning Elizabeth Strout before I read this book, but as soon as I finished it, I tried to borrow her earlier books from the library. There are fifteen reserves for her My name is Lucy Barton! Even with just over five months of reading pleasure before the end of the year, I’m pretty sure this book will make it into my top ten books for the year. Anything is possible reads almost like a collection of short stories, except that all the characters are linked together. They all live, or have lived in the rural town of Amgash, Illinois. Strout writes with perception and insight, which made me care about all her characters and the various tangled threads of their lives. When I read each chapter, I felt fully invested in each character, no matter how small or large their story. I would say most of my fiction is drawn from that very tension of the inner life versus the outer life. We all live with some kind of inner life, and it is often not known to others, and so their perceptions of us are just partly real. My job as a fiction writer is to show that strange relationship between peoples’ perceptions of others and the inner reality a person lives with daily. Even though the above quote refers to Strout’s earlier book, My name is Lucy Barton, it’s appropriate for Anything is possible. While there is one main character in each chapter, each character is referred to at least once in another character’s story. So as a reader, you see the inner world of each character, as well as how they are viewed by another character in their town. Anything is possible is a companion book to My name is Lucy Barton, but I don’t think it matters which order you read them in – particularly if your library is anything like mine and you have to wait for Lucy Barton! 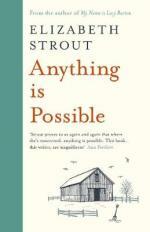 Strout writes of her book – I hope by reading Anything is Possible you are able for a few moments to transcend the life you are living and to understand – and see – people who may live very differently, but who have similar desires for love and safety and the friendship of others, in whatever form that may take. This book would be a fabulous bookclub book – so much to discuss. 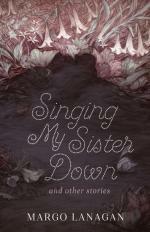 I had goosebumps when I read Margo Lanagan’s short story, ‘Singing my sister down’. It’s a combination of her evocative language, believable worlds and her unique characters and the situations they find themselves in. This story is also the title of her collection of fantasy short stories, some of them written almost twenty years ago. If you’re looking for a collection of short stories that will take your breath away, this is it. It’s been marketed for young adults but also fits into the adult literary fiction category. ‘Sweet Pippit’ is a story about a group of elephants. But Lanagan doesn’t ever mention the word elephant. Yet you understand by her choice of words that Gooroloom and Booroondoon are elephants. And if elephants could talk, this is what they would sound like. But our bearing is the sort that soothes others; we move with inevitability, as the stars do, as the moon swells and shrinks upon the sky. Let’s unpack that sentence for a minute as if we were literature students. the moon swells and shrinks upon the sky – a lovely way of describing the moon waxing and waning. And all of that in one sentence! And our spirits, which had been poised to sink with Gooroloom’s worry, lifted as if Booroondoon’s words were buoyant water, as if her song were breeze and we were wafted feathers. Again, the pairing of unlikely elements – elephants and wafted feathers – creates lyrical, contrasting images in our minds. In her interview with Charlotte Wood, in the book The writer’s room, Lanagan talked to her about the craft of writing. When you’re writing the sentences you’re also thinking about the paragraph, and beyond that to the entire scene, or the entire story. And then you feel the rhythm faltering – so you put square brackets around the blundery bit and you keep going so you don’t lose that sense of the rhythm. Then you come back and find the right word or phrase to fill the gap. Sometimes you’ve got the sense of it but you don’t have the perfect word. You know there is one – it’s on the tip of your tongue, but it’s not there. But you know it means roughly this, so you put down that meaning in square brackets and go on, and you come back and find your way to the perfect word when you’re fresher. Even if you’re not usually a short story reader, read Margo Lanagan’s book and become one! How many books have you read, skimmed, touched, discussed, borrowed or bought this week? I decided I would tally up mine! The secret scriptures by Sebastian Barry – this was my bookclub book and and it was my turn to host. Half of our bookclub had read it, half had started it. We all agreed it was a very slow start. It’s a dual narrative with both sections written in first person. Roseanne is a one-hundred-year-old woman who has been a patient at a mental hospital in Ireland for many, many years. Dr Grene is her psychiatrist. I enjoyed Roseanne’s story more because she was the more interesting character with a strong voice. When I read Dr Grene’s sections, I had to remind myself that his story was current – his tone was quite formal for a contemporary voice. Becoming a writer by Dorothea Brande – this book was published in the 1930s, but is still relevant today, despite the 1930s tone. I reread this book because the writer discusses the two personalities of the author – the rational or conscious side and the dreamy or unconscious part. I’m interested in this at the moment because I’m trying to balance writing a logical outline for my book so I can see where the problems lie, as well as use my subconscious to solve the problems. Wish me luck! When the teddy bears came by Martin Waddell – this is a gorgeous picture book which is a perfect present for a toddler about to become a big sister or brother. I put all my kids’ much-loved soft toys in the washing machine yesterday – 34 degrees! – and hung them on the line to dry by their ears or tails. They looked both bedraggled and comical, and the lines of teddies and penguins and dogs reminded me of Waddell’s book, with its collection of teddy bears. The last painting of Sara de Vos by Dominic Smith – I have only started this book but am really enjoying it so far. Jerusalem by Yotam Ottolenghi – I’m doing a cooking class next weekend with a friend, based on Ottolenghi’s recipes. I didn’t know much about him at all so I borrowed my friend’s cookbooks. We are having caramelised fennel and roasted eggplant with lamb mince for dinner this week – yum! Information is beautiful by David McCandless – my kind brother gave me this book – I did cook him a decent dinner and agreed to be interviewed for his business! Its pages show different ways to present information, trends and statistics from different types of fish, carbon usage and the connection between facial hair and the number of people one has killed! It’s a visually stunning book – would be an asset to any marketing department. I have only flicked through it but can already see how I’ll use it as a resource for inspiration, marketing and storytelling. One by Sarah Crossan – my friend Tess, a remarkable young woman, is going to start a bookclub with some university friends and wanted some recommendations for books on feminism, female empowerment and gender roles. So this section is for Tess, as I went through my bookshelves for options for her. One is a young adult fiction book about conjoined twins – definitely empowering. The poisonwood bible by Barbara Kingsolver – four sisters who leave the US with their parents to live in the Congo. Different directions, different choices by the sisters in this novel. All that I am by Anna Funder – set in Germany during the Second World War, this is a fictional account of two female cousins who work against Hitler. Chilling. Speaking out and The fictional woman by Tara Moss – two non-fiction books by an Australian model, author and activist. Powerful reading. The wife drought by Annabel Crabbe – this book covers the same old ground about the division of duties at work and home between men and women. A fiery read. Motherhood and creativity, the divided heart by Rachel Power – a series of interviews with creative women who are also mothers. While the emphasis is on creative careers, many of the stories can also be applied to the business world. The beast’s garden by Kate Forsyth – I lent my copy to one of the lovely baristas at my local cafe because she is an avid reader. She’s just started it, so I’m looking forward to hearing what she thinks of it when she’s read a little bit more. Zen habits by Leo Babuto – I also lent my copy of this book to another lovely barista at the same cafe because he wanted to stop procrastinating and this book has fabulous tips for creating habits to do the things that you want to do but just can’t. However, he has been procrastinating reading it so we haven’t had any conversations about it yet! Big magic by Elizabeth Gilbert – I love this book, and pulled it out to flip through because I wanted some tips and tricks on how to be more creative. Will probably end up reading this one cover to cover again. Zakka compiled by Rashida Coleman-Hale – Miss 10 and I are on a sewing project roll at the moment – we made lavender sachets in the holidays. I have found a little project in this book we could sew. Now to choose the fabric from my stash – blue flowers or blue butterflies? Goodbye stranger by Rebecca Stead – my friend Renee suggested I read this as apparently Stead’s style and subject matter is similar to what I’m working on with my book. Just borrowed it yesterday from the library so I’m looking forward to a good middle-grade fiction read. Anansi boys by Neil Gaiman – because he’s Neil Gaiman and this book happened to be lying by itself on the library shelf. Need I say more? Fabric pictures by Janet Bolton – love a beautifully photographed craft book and the cover had me at hello! Zero! I have a Christmas book voucher which is begging to be spent but I am trying to hold off for a little while longer. I hope you have had an equally bookish week with fiction, non-fiction, cookbooks, children’s fiction – let me know about your week in books, please. Whether you are looking for books for gifts or for your own holiday reading, I have a list for you! I also have a giveaway – I have an extra copy of Hannah Kent’s The good people and would love to give it to a loyal blog reader! Please leave a comment to tell me about the best book you read this year and subscribe to my blog if you haven’t already done so. All comments will go into a draw to win this book. The good people by Hannah Kent – I loved Hannah Kent’s first book, Burial Rites, so I couldn’t wait to read her second one when it came out only a month or so ago. This time, the story is set in Ireland, in 1825 and follows the story of three women. There’s Nora who loses her beloved husband in the first chapter and is responsible for caring for her grandson, Micheal. She can’t cope with Micheal’s ‘differentness’ so she employs Mary, a fourteen-year-old girl to look after him while she works. The third woman is Nance, a strong presence throughout the book, and her link to ‘the good people’ or fairies is both a curse and a blessing to her. I felt absorbed in this Irish world – Hannah Kent’s skill lies in creating authentic settings. The dry by Jane Harper – if you’re the sort of person who likes to say, ‘Oh, yes, I’d like to see that movie – I read the book YEARS ago,’ then perhaps you should read this book now! Jane Harper is a UK-born, Australian-based journalist/novelist and The dry is her debut novel. It’s set in a small Australian rural town and follows two murder stories, set twenty years apart. The thread in the present is about Aaron Falk, a city-based detective who goes back to his home town for the funeral of his childhood friend, Luke, his wife, Karen, and one of their two children. As Aaron uncovers some discrepancies in this case, he is forced to confront his memories about the death of his friend, Ellie, who supposedly drowned twenty years ago. I really cared about these characters – I wanted to find out whodunit but I wanted to know why the characters behaved the way they did and what their tangled relationships meant. A fabulous summer read for everyone. I’ll be there on the opening night of the film! The course of love by Alain de Botton – this one should be mandatory reading for every married couple. My husband read it and enjoyed it – even though it’s not the type of book he would choose to read. It’s a blend of a fictional story about Rabih and Kirsten, how they met, courted, married, had kids and how one of them had an affair, interwined with philosophical musings on the nature of marriage, human behaviour, female and male tendencies in thinking and behaving. My friend P and I had a shouted discussion about this during our kids’ school disco – it was worth shouting about! This is not an easy read, but it’s an entertaining one and perfect for the discerning, thoughtful reader who would like a slow, reflective read over the holidays. I wrote a longer review here. A kiss from Mr Fitzgerald by Natasha Lester – transport yourself to 1920s New York, where Evie has given up her fashionable, comfortable life with a potential marriage to a reputable, wealthy young man, in order to follow her dream to become an obstetrician. Evie is a likeable, engaging character and the setting of New York, plus fashion, glamorous parties, a speakeasy makes this book a light page-turner – perfect for summer reading or anyone’s Christmas stocking. You can read my interview with Natasha here. The paper house by Anna Spargo-Ryan – this is another debut novel. This one brought me to tears, as it follows the journey of Heather, a young married woman who lost her baby at almost full-term. It’s a quiet, reflective story about the spiral of grief for Heather and her family. It doesn’t sound like a wonderful, joyful Christmas present but it’s a beautifully written book that took my breath away with wonderful language and the depth of emotion. I know Anna is writing a second novel, and I’m looking forward to reading it when it’s published. Be Frank with me by Julia Claiborne Johnson – this is an engaging, original book – one of my favourite reads for the year because of the engaging, original characters. Mimi is a reclusive writer, living in a mansion in Bel Air with her nine-year-old son, Frank. Alice is a publisher’s young assistant, sent to help Mimi with anything and everything, in order for Mimi to finish her new manuscript. Frank is an unforgettable, quirky character – an adult head on a kid’s shoulders, obsessed with old movies, and has two rules – don’t touch me, don’t touch my things. Wish this would be made into a movie. A wonderful read for all bookworms. There’s a longer review here. The beast’s garden by Kate Forsythe – I have read nearly all of Kate’s books because she manages to build a tightly structured plot with every single thread beautifully woven together which sits invisibly behind an array of interesting, complex characters with deep desires and hidden secrets. She is an amazing storyteller and wordsmith, and I learnt a lot from her in the Sydney workshop I attended earlier this year. The beast’s garden is about Ava, a young German woman, living in Berlin through World War II. Ava is sympathetic to the Jews and helps many of them, even though the man she loves is one of Hitler’s men. 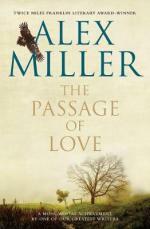 This book weaves love, history, politics, betrayal, family in a book which is full of tension. I blame Kate for a late dinner one night – I could not put this book down at 6.30 in the evening because I HAD to finish it. She told me that was a lovely compliment – I told her I had hungry kids! A fabulous read for anyone who loves a page-turning, historical love story. All the light we cannot see by Anthony Doerr – this was one of my favourite books I read this year. I passed it on to my husband to read, and he enjoyed it so much that he bought a few copies to give as gifts. It’s a dual narrative, set in World War II, and follows Marie-Laure, a blind French girl living in Paris, and Werner, a orphaned German boy, who has a skill with radios. The book jumps around a bit in time, so it does require a little work from the reader. Because you have a sense that the characters will eventually meet up, the fragments of Marie-Laure and Werner’s stories have a feeling of urgency, even though the writing is beautiful and evocative rather than fast-paced. The characters were wonderfully depicted, so you felt such empathy for both of them, even though they were on opposing sides of the war. Doerr writes lyrically and creates a sensory-rich world. If you call yourself a reader, please read this book! Bel Canto by Ann Pattchet – this book is truly a marvel. It’s the story of Latin terrorists who hold a large group of people hostage for a few months. Both hostages and terrorists have to forge new relationships and ways of living, and the two different groups blend and separate, blend and separate. The characters are wonderful – an opera singer, her greatest fan – a Japanese man, the Vice-President whose house is overtaken, a translator. Even the terrorists are described as individuals. I’ve read a few of Ann Pattchet’s books, and this one is my favourite. The birdman’s wife by Melissa Ashley – I chose this book by its cover – simple, elegant and evocative. It’s a novel but it’s based on the life of Elizabeth Gould, an artist who was overshadowed by her husband’s career. I’ve only just started this book, but I’m enjoying the mix of art, birds and life in 1820s London. I hope you find something for yourself or your friends and family on this list. Please leave a comment about the best book you read this year and subscribe to my blog (if you haven’t already) to go into the draw to win a copy of The good people by Hannah Kent. The winner will be drawn on Friday 16th December at midday, and I’ll post the book out before Christmas. Happy reading and Christmas shopping! While you would think a Melbourne spring should be filled with daffodils, longer evenings and fascinators in the Myer windows, we have had all that but with rain and cold as well. I found it really interesting that these quotes from Australian writers about spring focused on the whole spectrum from the sun and flowers to the rain and cold. My favourite quotes are number 1 and 4 because they contrast the protagonist’s feelings against the weather. I have left a gap between the quotes and the book titles, authors and date of publication in case you want to guess! 1. I found it very cruel that the sun shone and the weather was perfect during the darkest of my days. 2. It was September, and the roughstone terraces with their thickets of tiny white daisies were aswarm with insects. The whole garden sizzled and hummed. 3. It was spring by now and the days were lengthening; the evening sky, not yet fully dark, was pulsing with the flashing lights of emergency vehicles somewhere up ahead. 4. My heart fell out on a spring morning – the kind that rose coolly in the east and set brightly in the west. 5. “We’re not meant to get hot days like this in October,” I say, standing in front of the open freezer. 6. Her birthday was in mid September, on a spring day that seemed to bring a whiff of summer with it. The wattle was out, and daffodils and tulips were still waving in Burnsie’s garden. 7. After the June shearing of 1944, we knew that if it did not rain in the spring our gamble was lost. The sheep would not live through another rainy season. Drat that it’s cold. Last night I could wear silk to bed and now I have lit the fire. Cold Mondays are gloomy. There are plenty of jobs to do indoors, but who wants to be inside in November? And ride home on the train. 10. The night is hot and salted with stars and on the easterly breeze you can feel the wetlands of the interior and even the deserts behind them.